My throat feels like its being tickled with a feather. At least it doesn’t hurt any more like it did 2 days ago. It was a horrible burning sensation then, like someone stuffed a toilet brush down my throat. It must have been due to the virus thats going around here that’s affecting people around – I haven’t been hit this bad ever, even from last year, when I’ve been using my voice a lot. Contemplated playing hookey today and not go to work moreover, I didn’t have any classes today and there are days when I really didn’t want to go to work at all – most of the times due to the company’s negligence of worker’s welfare. I went to work any way, no point staying at home doing nothing. So thus I took the one hour bus journey to Senja and reached the school in the late morning. Teachers in West spring were starting to look more stressed out, and it was understandable since we were slowly settling down. I feel bad for them since most of them had to be in school at 7.25 am and stay till 6 pm, which I thought was TOO long and TOO draining and TOO enduring. This Sunday would be a soccer match between Singapore and Indonesia. I contemplated on going, however, I didn’t know of anyone who wanted to go and the last time I checked, tickets were all snapped up. It was that popular it seems. Now I’m not a football junkie, but this match sounds really exciting since its been years since we had a tiger cup finals in homegrounds. The fact that the national team made it to the finals made it more enticing. At last, I found it in Mu-ee. It was a black sheep pencil case which I thought was just perfect. It had a silly face that had an infectious smile when you looked at it. I had it wrapped and gave it to my sister … and she liked it 🙂 It was sort of nice to see her chuck away her other pencil case immediately and putting all her stationaries in the pencil case. I’ve really got to find some will power to start … got to push myself harder and not be so darned lazy! 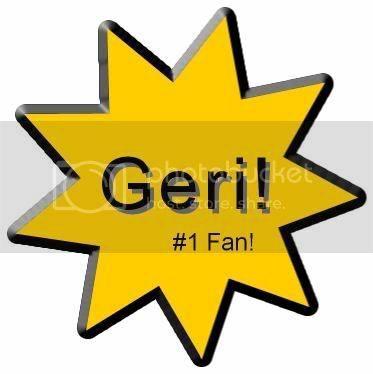 And thank you Geri for being number 1 blog fan here … here’s a star for you! Previous PostPrevious Thank goodness its the weekends!